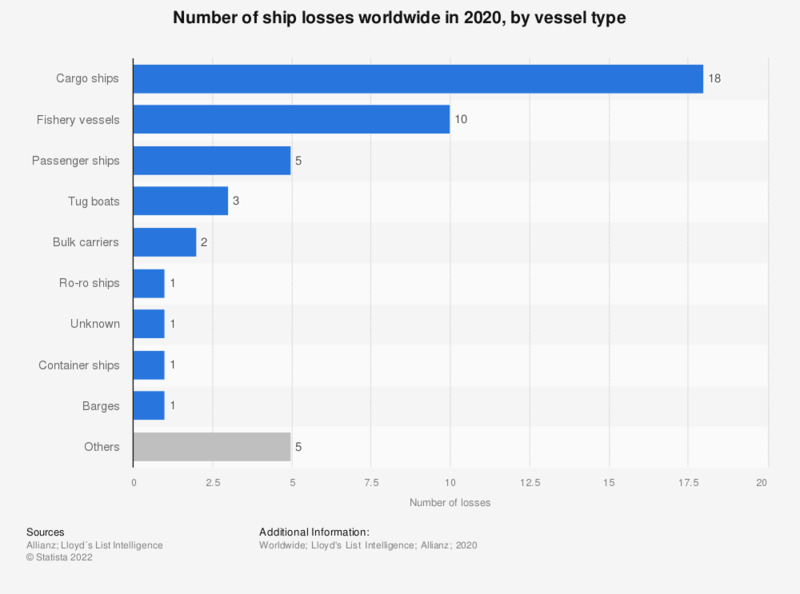 This statistic shows the number of ship losses worldwide in 2017, by vessel type. In 2017, there were five tug boat losses. The most perilous regions included the waters off the Southeast Asian coast.